If you use your iPhone’s calendar to keep track of your schedule, then you probably hear a tone every time you have an event that is about to occur. This can be helpful if you are immersed in another activity and need the audio reminder that you need to get to your next appointment. However, if that tone is playing multiple times during the course of the day, then you may have reached a point where you would simply rather disable it. 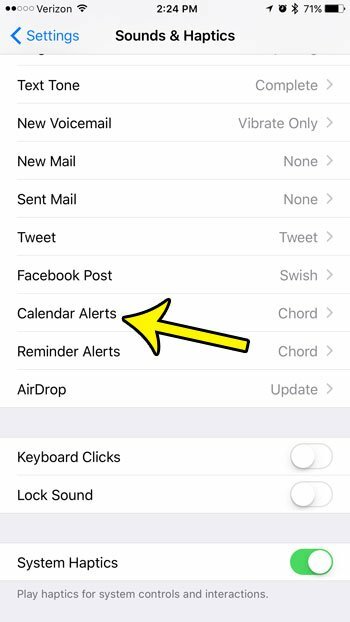 Fortunately the alert sounds on your iPhone 7 are something that you can control, and it is possible to turn off the calendar alert on the iPhone 7. Our tutorial below will help you to find the calendar alert sound setting so that you can choose the option that will prevent any alert sound from playing. The steps in this article were performed on an iPhone 7 Plus, in iOS 10.3.2. These steps are going to turn off the alert sound that plays whenever you have a calendar notification. If you would prefer, you can instead choose to switch to a different calendar alert sound in the final step of this guide. 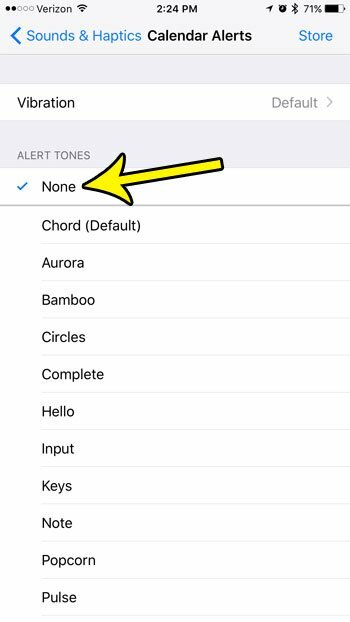 However, note that selecting a new alert tone will cause it to play, so you may want to save this until you are in an environment where those alert sounds might not be disruptive. 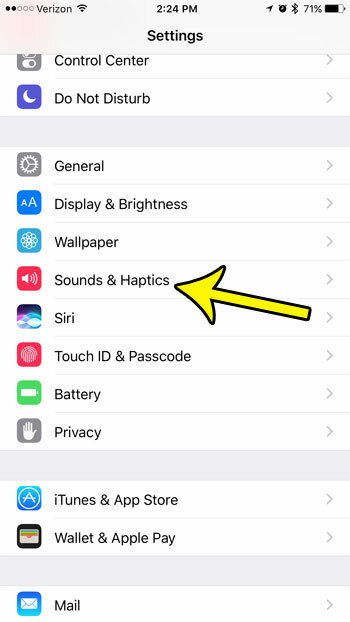 Step 2: Select the Sounds & Haptics menu. Step 3: Scroll down and touch the Calendar Alerts option. Is there a sound you are hearing that you would like to record, or do you want to create an audio reminder for yourself that you can listen to later? 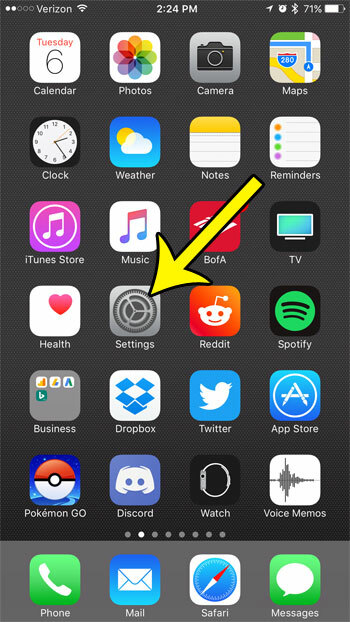 Learn how to record a voice memo on your iPhone using a default app that is on the device.